Get out of Hell free card? Not for Callie Delgado, Gem City's newest soul charmer. Sin and salvation collide in this gritty and action-packed urban fantasy. Callie's magic is finally her own. She and Derek dispatched Ford. They should have been able to breathe, but layers of sin run deep beneath Gem City. Another mob boss quickly rises, and his sights are firmly set on Callie--and her family. Mobile soul rental shops begin to bite at the Soul Charmer's business. His retribution is wicked, but the blowback threatens to crush Callie. If she can't maintain the tenuous balance of souls in Gem City, more lives will be lost. Only the more magic she uses, the more danger finds her. 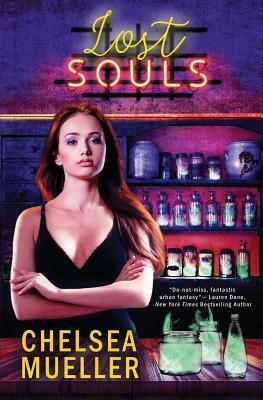 A break-in, pools of blood, and bare shelves at the Soul Charmer's store force Callie to choose the fates of others. But which can she live with? Losing her city, her love, her family ...or her very soul?